Nasty extra dividend tax hits owners of small companies. April 2016 sees the start of a new dividend tax regime which will affect the owners of most of the UK’s small limited companies. Many will be hundreds or thousands of pounds worse off. Individual investors who own shares can also be affected, but only if their total dividends in the year exceed £5,000. So that means a fairly small number of people. The Chancellor George Osborne has introduced this new dividend tax to balance out the tax bills suffered by people who have the same income, but receive it in different ways. My video at http://tinyurl.com/HustonTV52 explains the change, and read on for further details. Jenny runs her own limited company. It can make £50K per year and she can take a mix of salary and dividends. Roger is a sole trader who makes profits of £50K per year. Andrew is an employee and his salary is £50K. Self-employed Roger would lose some 25% of his profits in tax and NIC. Andrew, the employee would lose 27%. Why the changes for 2016/17 and beyond? With previous governments having encouraged businesses to form up as limited companies, now the Chancellor has decided to take away one of the main advantages – the ability to juggle your salary and dividend split to save some money. He wants self-employed and limited companies to have a more similar tax regime. I do not need to get into the morality of the old or new approaches, I must merely warn those with large dividends about the new regime. Before I go into the detail, let’s see the effect of the changes in April 2017. How do Jenny, Roger and Andrew fare in 2016/17? Roger, being self-employed, is unaffected at 25%. Meanwhile employee Andrew is also unaffected at 27% to the government. So we can see that the Chancellor’s measure is closing the gap in the tax regimes between someone being self-employed and choosing to set up their business as a limited company. Jenny faces a few thousand more in tax each year due to the dividend tax. Up to 5 April 2016 dividends, to the basic rate taxpayer, were simply treated as if they had already been taxed. Higher rate taxpayers paid extra tax on dividends – 25% of the net they received. This meant that the owner of a small company could take out a salary of say £10,000 and dividends of say £28,000 and pay no tax and only minimal National Insurance. The company would pay tax, but taken together the company and owner would be better off that if they had just been self-employed. Working out if you were close to the limit to start paying higher-rate tax was confusing. Net dividends you received had to be grossed up. Every £90 of dividend was treated as £100 gross. The gross dividends plus your other income dictated whether you had some higher rate tax to pay. Dividend income will no longer have any form of tax credit to confuse the sums. What you get is regarded as the gross dividend. If your dividends in the year are £5,000 or less there will be no income tax to pay. This £5,000 is called your Dividend Allowance. If your dividends exceed £5K, then those dividends above the allowance will be taxed. The starting rate for dividend tax is 7.5% on dividends over £5,000. Any dividends which push you into the higher rate threshold will be taxed at 32.5%. People earning over £150,000 will have a dividend tax rate of 38.1%. If thinking about setting up a limited company, then the decision is much less clear-cut than it used to be. You might decide just to be a sole trader or some form of partnership. Limited companies will still be attractive if you can make a lot of money but do not need to take it all out of the company each year. They will also still provide some protection from risking your house and savings if something goes wrong or the business is sued. Advice on the best form to use for your business is now more important than ever. If you already operate through your own limited company then look carefully at dividend levels, amount you need to take out, and pension contributions. This new tax makes it much more attractive to reduce your dividend income to under £5,000, and one way to do this is to move your shareholdings into an ISA. Dividend income in an ISA is tax-free. Ba careful of Capital Gains Tax if selling a lot of shares or ones which have risen well since you bought them. If worried, then paying for a chat with a tax expert might be worthwhile. 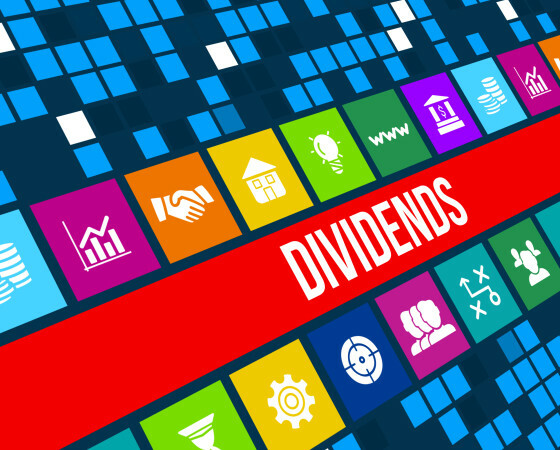 Anyone who gets more than £5,000 in dividend income will be affected by this from 6 April 2016. They need to know what tax they will owe, and how to declare the income to HMRC. They also need to set some money aside to pay the bill when it arrives. This entry was posted in Business Tax, Personal Tax and tagged @hustontax, adrian houston, adrian huston, adrianhuston, chancellor, company tax, dividend allowance, dividend tax, dividends 2016/17, george osborne, hmrc, HMRC tax, huston & co, huston and co, PAYE, Personal Tax, salary, small company, tax, tax adviser, Tax Avoidance, Tax Implications, tax planning. Bookmark the permalink.